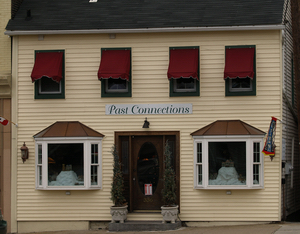 NOTE: To add your business to the Business Listings page, please contact Pat Dragotta. Looking for a competitive edge to help your business grow and thrive? New Jersey has the answer. The state’s Urban Enterprise Zone (UEZ) Program offers participating businesses an advantage by providing incentives that encourage business growth while stimulating local economies. Launched in 1983, the UEZ program was designed to foster an economic climate that revitalizes and stimulates designated urban communities by encouraging business development and growth to create private-sector jobs with public and private investment. The program has proven to be highly successful. Since its creation, many businesses have participated and taken advantage of the many UEZ program benefits that include a number of tax and other financial incentives. The UEZ program has been called the “best in the nation” by the non-partisan National Association of State Development Agencies. Qualified zone retailers are allowed to charge one half the normal sales tax rate on in-person purchases-half. Businesses that buy specified materials and tangible personal property pay no sales tax on the purchases. Employers may receive subsidized unemployment insurance costs for some employees who earn less than $4,500 per quarter as determined by the Department of Labor schedule. The program allows a tax credit against the Corporate Business Tax of eight percent for investment inside the zone. Businesses may be eligible for priority financial assistance including low-interest loans from the New Jersey Local Development Financing Fund and the Department of Labor Job Training Program. 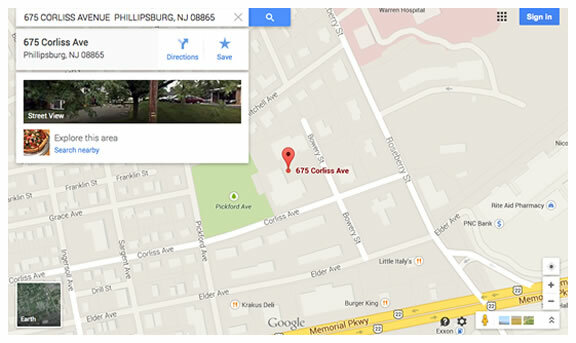 The Phillipsburg UEZ has many success stories since its inception. The UEZ seeks to recruit new retail and service businesses to our business district. In the past, It offered an array of incentives to selected businesses wishing to relocate or expand in Phillipsburg. With new funding no longer available from the State, tax incentives are still available for UEZ Certified businesses; however, grant funds are extremely limited. 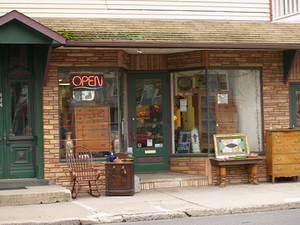 The Town of Phillipsburg offers low interest loans to small businesses located within the Town’s Urban Enterprise Zone boundaries. Typically, the loans range from between $10,000 and $75,000. These loans are made either on a stand-alone basis or as part of a larger financing package. In the latter case the town accepts a subordinated collateral position. The loans are offered at 50% of the prime rate fixed with a floor of 4%. The loan proceeds may be used for working capital, fixed assets or a combination of the two. The loans are for a definite term of between five and twenty years depending on the use of funds. The loan committee consists of the Mayor of the Town of Phillipsburg and one Municipal Council member. Underwriting activities, preparation of closing documents and loan servicing are provided to the Town by PNC Bank. The Phillipsburg Urban Enterprise Zone provided a variety of incentives designed to revitalize the commercial building stock within the boundaries of the UEZ. Retail merchants in Phillipsburg collect sales tax from customers at 50% of the rate applicable elsewhere. The UEZ Board of Trustees sought well thought out business plans and pro forma projections as well as building plans and/or renderings in determining the extent of the incentive offered. Typical application requirements also included personal financial statements, tax returns and other documents deemed necessary by the Board of Trustees. The UEZ subordinated to primary private financing. The UEZ required a substantial equity injection on the part of the applicant as well as a private financing commitment sufficient to complete the project. The grant funds were allocated toward exterior renovations and the loans toward interior improvements. The grants were disbursed as follows: one half upon 50% completion of the work and the balance upon completion of the project. The grant agreement restricted the resale of the property for a five- year period. The grant must be repaid to the UEZ if a sale occured within five years of completion of the project.Visit the State of New Jersey Business Portal with the link below:Business Portal SBA Microloan Program- The Regional Business Assistance Center (RBAC) offered loans to small businesses in amounts between $5,000 and $50,000. Typically, the small size of these loans made them unattractive to conventional lenders and RBAC filled this gap. The loans could have been used for real estate, equipment or working capital. They were offered at 10% interest for a five-year term. RBAC required a documented business plan. These loans often required little, if any, collateral. SBA 7A Guarantee Program- These were offered through private lenders and are guaranteed by the US Small Business Administration. Loans could have been made up to $2,000,000. For fixed assets and/or working capital. The maximum interest rate permitted by SBA is 2% above the prime rate of interest. The rate is not normally fixed but floats with the prime. The term of the loan varied with the asset being financed but could have been as long as twenty-five years for real estate, fifteen years for equipment and seven years for working capital. These loans usually required personal collateral and guarantees. The Town operates its redevelopment initiatives through the Phillipsburg Redevelopment Agency which consists of the members of the Phillipsburg Municipal Council. The program also requires the participation of the Phillipsburg Planning Board which makes findings and recommendations to the Redevelopment Agency as a precondition to the adoption of a Redevelopment Plan by the Municipal Council. 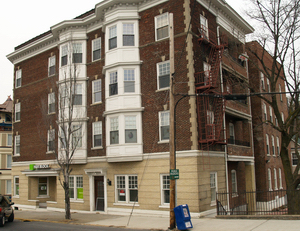 Adoption of the Redevelopment Plan enables the Redevelopment Agency to exercise broad powers over the property including, bonding or other financing for the implementation of the plan, rezoning, tax abating the property, contracting with private redevelopers without the necessity of public bid and use of the power of eminent domain to acquire property for redevelopment plan implementation. The Delaware Riverfront Plan which created a Historic/Recreation District intended to accommodate the New Jersey Transportation Heritage Center. The plan also created a Low Impact Industrial Zone on which a lumber company now operates. The second adopted plan is the Ingersoll Rand Redevelopment Plan which created an industrial usage on 140 vacant acres owned by the Ingersoll Rand Company adjacent to Route 22. The Phillipsburg Redevelopment Agency is currently in discussions with a private redeveloper for the industrial redevelopment of the entire 385-acre (approx.) complex within the Town’s Urban Enterprise Zone. An additional 100-acre contiguous tract located in neighboring Lopatcong Township is also slated for redevelopment. The third Redevelopment Plan is in the Town’s Gateway District located between Union Square and the Black Bridge at Hudson Street. This plan has been partially implemented through the exercise of eminent domain to acquire a derelict property and contracting for the sale of the property to a private developer. Significant public and private improvements have been made in the area and further infrastructure improvements are slated. Short TermThe Town of Phillipsburg provides a real property tax incentive for property owners who wish to rehabilitate their property. For substantial improvements i.e. costing in excess of 20% of assessed value, the Town will freeze the property owner’s assessment at for a period of five years. The abatement of taxes on the improvement commences in the calendar year following completion of the project. Long Term Property on which a Redevelopment Plan has been adopted by the Redevelopment Agency for the Town of Phillipsburg is eligible for long term tax abatement. This program is designed to provide a real property tax incentive for new construction in the UEZ. Developers pay an amount in lieu of taxes to the town based upon one of two formulas. Either 2% of total project cost or 15% of gross rent. The abatement is offered for a fifteen-year period. The Town of Phillipsburg became an Urban Enterprise Zone municipality on November 2, 1994. The Town had suffered severe economic hardships in the decade leading up to its zone designation. High unemployment, an aging and deteriorated building stock and a significant percentage of the County’s welfare population epitomized the Town’s plight. Moreover, the Town’s dominant employer, Ingersoll-Rand, was in the process of a major restructuring leading to significant downsizing and ultimately, a sale of their pump manufacturing division. This resulted in massive layoffs having severe impacts on the community. Additionally, the Ingersoll Rand facility consisting of 385 acres and 900,000 square feet of building improvements was classified a brownfield contaminated primarily by oil in the groundwater. Having very little highway frontage and a high vacancy rate in its retail district on South Main Street, the town had struggled to take advantage of its status as an urban enterprise zone. The addition of a regional lumberyard helped to raise revenues. In 1995 when Phillipsburg first became an Urban Enterprise Zone community, there were few planning studies or concrete ideas as to how to proceed. As one of its first initiatives, the Town created a redevelopment agency with powers of eminent domain, overlay zoning and tax abatement. It began targeting vacant land in the zone for redevelopment. Additionally, the UEZ hired a professional planning firm to survey and provide a blueprint for the revitalization of the Town’s central business district. The study, called “A Vision Plan for South Main Street,” called for the use of Zone Assistance Funds at the entrance to the central business district at Union Square. This area is the gateway to the Town and could be linked to successful redevelopment efforts in nearby Easton, Pa. At the same time the report called for efforts to obtain the New Jersey Railroad and Transportation Museum designation. 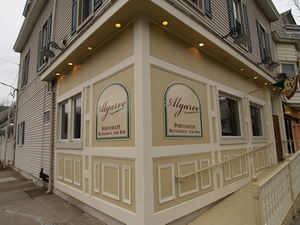 This project was to be located on the Delaware River, a short walk from South Main Street. 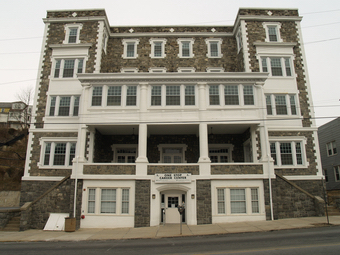 In March 2001 the Legislature formally approved Phillipsburg as the designated museum site. In 2001 the Town obtained the designation as the site for the New Jersey Transportation Heritage Center, a planned outdoor exposition of NJ transportation history. New Jersey Transit commissioned a feasibility study for the development of the museum in Phillipsburg. It expressed mainly positive findings. The study called for a $17,000,000 first phase construction project. The Town applied for and received a commitment of $875,000 from the Warren County Open Space Trust Fund toward the acquisition of the 35 acre riverfront parcel. At the inception of 2005 little additional progress had been made in the acquisition of the site. The Town embarked on the creation of a new redevelopment plan for the parcel including significant new residential construction on the Delaware River. At the same time the UEZ applied for and received a $400,000 grant for the creation of a Phillipsburg Railroad Museum to be located immediately adjacent to the UEZ’s central business district on South Main Street. Engineering and architectural work is under way. 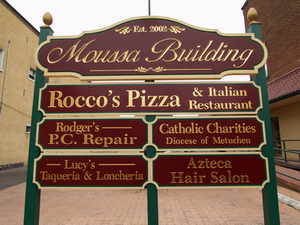 At the same time in 2004 the Town completed a streetscape renovation of its Market Square area. This project has also created the Town’s first tourism initiative. The Town created, in partnership with two railroad companies, a steam rail excursion located on the Delaware River. The excursion has attracted 30,000 riders to Phillipsburg in its first year of operation. The Town has also acquired and retrofitted an historic trolley bus. In spring of 2005 the Town began a narrated trolley tour from Center Square in Easton, Pa. through the Phillipsburg downtown along S. Main Street. 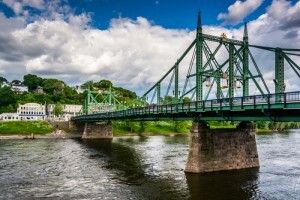 The Town was also successful in 2005 in obtaining a $3,300,000 grant from the Delaware River Joint Toll Bridge Commission for a streetscape and infrastructure improvement project. The project is to be located adjacent to the Bridge Commission’s two bridges in Phillipsburg. It is designed to alleviate vehicular traffic congestion traffic, improve pedestrian safety and enhance the aesthetics of the area. 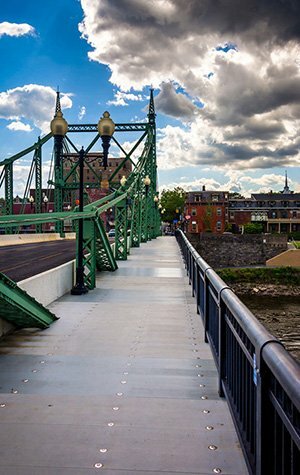 The Bridge Commission’s award came after completion of a joint multi-state planning study conducted by Lafayette College, Easton, Pa., Phillipsburg UEZ and the Bridge Commission. Finally, the UEZ was successful in implementing a recommendation from an earlier planning study related to the improvement of Shappell Park, downtown Phillipsburg’s signature green space. Once a rundown, vandalized open space in the center of the UEZ’s central business district. The UEZ erected a gazebo for use in outdoor public events. Additionally, using Zone Assistance funds, the Town successfully landscaped the park into an urban oasis. The park has served as a catalyst for the improvement of surrounding private properties and the attraction of new commercial tenants to the vicinity overlooking Shappell Park. The town has become a more attractive place to live, shop and work as a result of a four-phase façade grant improvement program that was implemented. 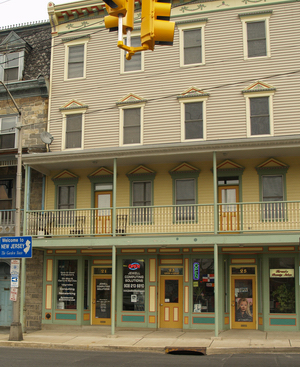 These façade grants coupled with New Jersey housing funding have created attractive mixed use buildings which have transformed the downtown Phillipsburg landscape. The building stock on S. Main Street has been modernized and revitalized. The UEZ and the Town of Phillipsburg worked jointly to improve the building stock and tenant mix at Union Square, the gateway to New Jersey from Pennsylvania. 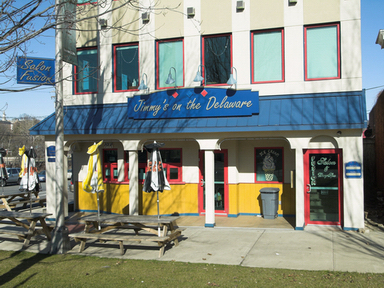 Using its powers of eminent domain and Zone Assistance Funds the Town acquired a small but significant property along the Delaware River known locally as Jimmy’s Hot Dogs. The property was subsequently sold to a private redeveloper who gut-rehabbed the building and reopened the landmark Jimmy’s Hot Dog restaurant. 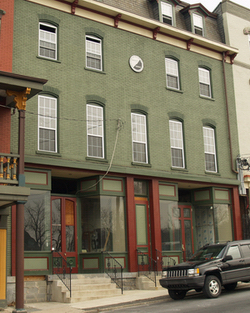 The upper stories, too, were renovated for offices and an upscale salon. Before the Town’s acquisition of this property, it was a badly deteriorated eyesore dragging down the value of the entire area. Shortly thereafter, the Town, using its code enforcement authority and Zone Assistance funds provided funding for a fashionable restaurant next door to Jimmy’s Hot Dogs. Finally, at this area of the Delaware riverfront, the Town completed a scoping study for a bicycle path and riverwalk along the waterfront. The riverwalk is presently being engineered and has undergone construction. Our plan will remain a three part strategy to revitalize the Phillipsburg Urban Enterprise Zone: 1) We will continue to work at creating new industrial jobs and enhanced ratables at the Phillipsburg Commerce Park, through extensive business recruitment and incentives 2) We will offer monetary inducements for the downtown revitalization of strategically located commercial property particularly where retail and office end users are clearly identified and 3) we will work closely with the private sector toward the continued redevelopment of the Delaware river waterfront, including the construction of new infrastructure such as riverwalks, bicycle paths and open space (parks). The recruitment of new industrial companies will benefit the Zone by increasing both the employment and ratable base of the UEZ. Moreover, the build out of the Phillipsburg Commerce Park will bring shoppers to our community which will increase commercial activity. Moreover, a significant component of the Phillipsburg Commerce Park envisions the construction of a connector road directly linking Rte. 22 to the Phillipsburg downtown and riverfront areas. We are shifting our incentive programs at the Phillipsburg Commerce Park toward encouraging new construction of commercial facilities. This new emphasis is the result of success in leasing existing industrial space. A new phase of redevelopment is now required at the Phillipsburg Commerce Park. We will also be working closely with the developer/owner, to reconstruct a railroad spur into the industrial park. The Washington Secondary RR line runs adjacent to the site connecting Phillipsburg to eastern New Jersey for freight operations. The line is operated by Norfolk Southern Railroad. A spur into the former Ingersoll Rand facility has long been removed but needs to be reinstalled to serve several new occupants of the industrial park. In our downtown along South Main Street and environs we will continue to link the natural attributes of the Delaware River to existing historic transportation infrastructure and the attractive period architecture of our central business district. Moreover, an important component of our commercial vitality will be the expansion of tourism initiatives coupled with the recruitment of unique shopping and service businesses. Our downtown plan centers on the belief that we must offer an experience separate and apart from retailing located on highways. Stores that are successful in malls and in “big box” mega-centers are unlikely to locate in our downtown. It is imperative that we recruit the successful entrepreneurs and artisans to our downtown. Additionally, we will reinvent ourselves as the getaway for people seeking to have a social experience outside their automobiles. We will provide steam locomotion, trolley transportation, riverwalks and bicycle paths and green space. In other words instead of the aging remnants of a failed 20th century economy we will rekindle a feeling of nostalgia for a bygone era by creating an atmosphere unavailable in the suburban malls. The UEZ had success in using tenant incentives to attract end users to newly renovated space. We also offered incentive packages from developers reconstructing properties on a speculative basis to tenants who would occupy first floor retail space and upper story office usage. The Town of Phillipsburg has opted to take a new approach to the development of its remaining riverfront property. Dissatisfied with the pace of progress for the New Jersey Transportation Heritage Center, the Town’s Redevelopment Agency/Municipal Council has adopted a new redevelopment Plan for a prominent 35 acre – parcel on the Delaware River. The recently adopted plan calls for upscale housing development of the site with 400+ new units of townhouses and single family dwellings. The Redevelopment Agency has selected a redeveloper to implement the plan. In lieu of the State Rail Museum, the Town has determined that a smaller scale local transportation historic experience is more realistic and preferable. The UEZ meanwhile will work with the private sector to successfully implement the new plan, creating attractive upscale housing options along with new walkways and green space. It is anticipated that new home ownership occupied within walking distance of South Main Street will provide a strong impetus for the commercial revitalization of downtown Phillipsburg. The implementation of this plan will create significant new ratables for the community as well as permanent new jobs for our citizens. Additionally, it will jump start the economy along our riverfront. While the New Jersey Legislature continues to delay its approval for the New Jersey Transportation Heritage Center, Phillipsburg is moving ahead with its own museum that will tie directly into the larger Heritage Museum in the future.